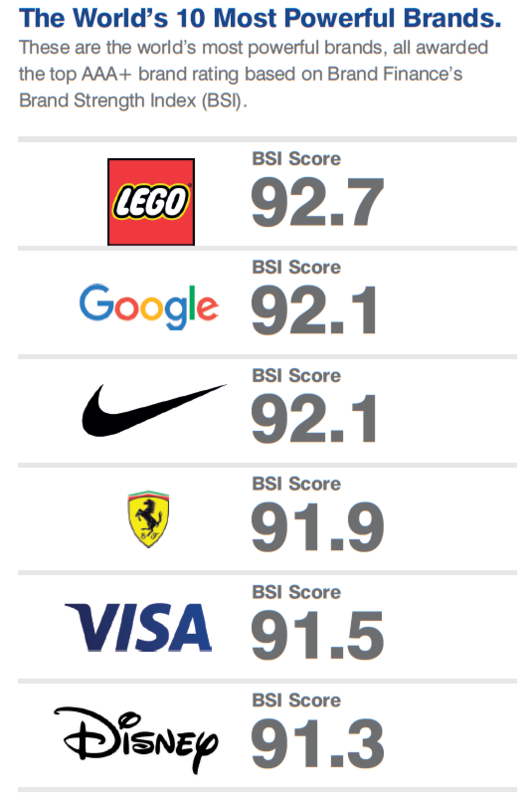 LEGO has been named the world’s most powerful brand according to Brand Finance’s yearly Global 500 rankings, unseating previous title-holder, Disney. The annual rankings are based on factors such as brand familiarity, loyalty, marketing investment, staff satisfaction, and corporate reputation. LEGO has come a long way from wooden toys to plastic bricks and the licensing empire it is known for today. 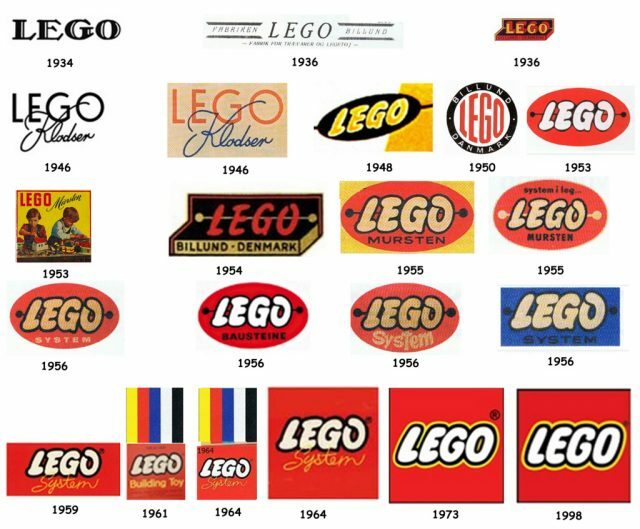 According to the report, LEGO’s brand strength is based on its appeal that spans generations, evidenced in the fact that LEGO bricks from 1958 are still compatible with their modern day iterations. That nostalgia and creative freedom, combined with a decade of solid marketing, financial gains and successful licensing product lines, helped take the company from near-bankruptcy in the early 2000s to its current number-one brand ranking. The report measured brand power by evaluating core products, brand positioning, targeted product development, and market expansion through licensing and partnerships, all of which define LEGO’s business playbook. “Whilst LEGO will always draw its strength and brand identity from the simplicity of its tangible products, it is also responding to the digital era … making LEGO a profoundly social experience as well as a personal one,” the report says, referencing the company’s many interactive brand extensions including video games, LEGO Boost, and the newly announced LEGO Life social network. The report specifically cited the success of The LEGO Movie and the expected success of The LEGO Batman Movie as key reasons LEGO unseated Disney for the top spot. Dropping five spots, Disney was hurt by the fact its most successful films of the year were produced by sub-brands such as Lucasfilm, Marvel, and Pixar. The Global 500 rankings also named Google as the world’s most valuable brand, unseating Apple due to greater financial success, market earnings, and expected revenues.